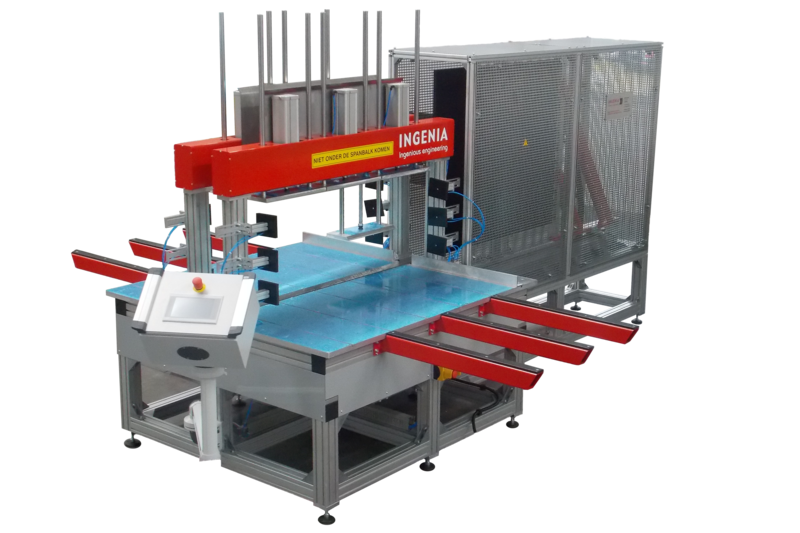 INGENIA S-KLT welding machines are robust non-standard machines for welding large-volume small load carriers, pallets and similar products. The welding cycle runs automatically. Vital welding parameters are determined from a manual input or from a central computer. The standard working width is 0.80 m or 1.20 m; the largest cutting surface to be welded is 600 and 800 mm, respectively. The machines are suitable for processing all the usual thermoplastic materials. The operating panel is housed in a separate free-standing console. It can be flexibly positioned at the side of the machine. An integrated PLC controls the machines. Controllable clamping pressure allows for adaption to the component geometry.